The NASCAR Xfinity Series races run to this point in 2019 have provided great racing, and some great opportunities for the smaller teams to show what they can do and earn good finishes. One of those teams is DGM Racing, owned by Mario Gosselin. DGM fields the No. 36 Chevrolet Camaro full-time for driver Josh Williams, as well as the No. 90 Camaro for part-time drivers Ronnie Bassett Jr., Alex Labbe, Caesar Bacarella and Donald Theetge. The NXS My Bariatric Solutions 300 from Texas Motor Speedway proved to be a great weekend for the organization. Josh Williams earned a career best finish of 14th after starting in the 22nd position. While his teammate Ronnie Bassett Jr., did the same in just his second start in the series. Bassett Jr. would finish one spot behind Williams in the 15th, after starting the event in 23rd. While the No. 90 has had a handful of different drivers behind the wheel early on in the season, they’ve earned some good results with Bassett Jr and Alex Labbe. Labbe wheeled his No. 90 Alpha Prime/VRVictoriaville.com Chevrolet to a solid 19th place finish in the second race of the season and his first of the year at Atlanta Motor Speedway. 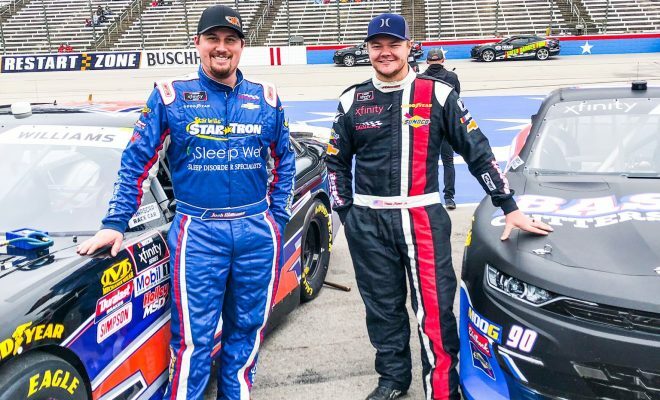 Labbe will be back behind the wheel at Bristol Motor Speedway where he saw finishes of 11th and 23rd in both races at the short track last season. 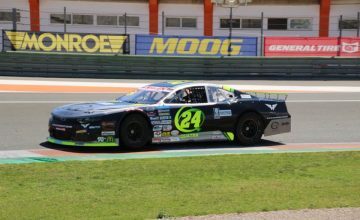 Labbe is no stranger to DGM Racing, he first raced for the team in 2016 and 2017 running just three races for the organization but last year he ran the full 33 race NXS schedule earning 17 top-20’s and 1 top-10 finish. Williams himself who returned to DGM full-time this season after running 28 races for the team over the last few seasons has seen some very consistent finishes early on. After earning two top-25’s to start the season with finishes of 24th and 21st at Daytona and Atlanta, Williams finished 16th at Las Vegas. A couple weeks of bad luck with ignition and engine problems at Phoenix and Fontana left him with not so great finishes but then Texas came, and the team turned their luck around. I asked Williams some other questions and here is what he had to say. Sarah Handy: With the races that are coming up is there a particular track you’re really looking forward too, and if so, why? Josh Williams: I am really excited about Richmond a place that I haven’t had a chance to race at yet. I love going to new tracks and especially short tracks, more my driving style. SH: What are your thoughts on the new 2020 NXS schedule? Have you had a chance to look at it yet? JW: I feel that NASCAR is making big gains on improving the product for the fans and listening to what everyone has to say from the drivers, teams and the fans as well. I am really impressed we are going to Martinsville. Kinda sad I didn’t see Nashville Fairgrounds but maybe 2021 fingers crossed. SH: It was announced on the schedule that the NXS will race at Martinsville next season, it seems to have been taken well with the fans. As a driver, what are your thoughts on racing there? JW: All I have to say is better buy some tickets. It’s going to be one fun Saturday at Martinsville. I hope they turn the lights on for us that would just make it that much better, who doesn’t love a Saturday night short track race under the lights. As a small team, these solid consistent finishes and bringing home equipment in one piece are just what DGM needs, and one of the things that sponsors look for. It’s obvious their program is going in the right direction. Keep an eye out for them this weekend at Bristol Motor Speedway, they’ve shown speed early on in practices. Practice update from Bristol Motor Speedway: DGM has Josh Williams behind the wheel of his No. 36 Chevrolet this weekend and Alex Labbe will pilot the No. 90 Chevrolet. After first practice Labbe was P15 and Williams was P19. Final practice wrapped up just around 6pm EST with Labbe P8 and Williams P.21. 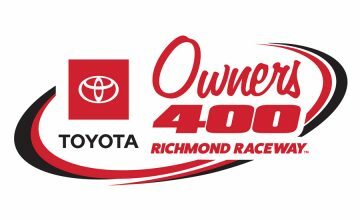 Qualifying for Saturday afternoon’s Alsco 300 will take place tomorrow morning at 9:40am with the race to follow at 1:00pm.